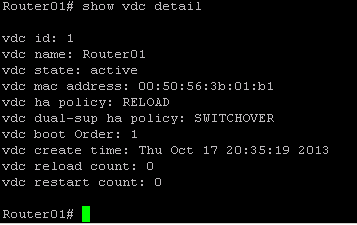 Physical cable can connect disparate VDC's together if needed. Can be in the data plane, but it's not recommended. 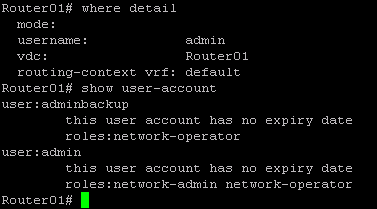 You can change this default with "no vdc combine-hostname"
Pool can be verified from the "show sprom backplane"
This is the default VDC with all modules allocated to that VDC it has all VLAN's u4route (unicast routes) m4route (multicast routes) assigned to it. "ha-policy singe-sup bringdown dual-sup switchover"